Ardhendu Behera, Senior Lecturer in Computer Science who led the project with three students, said: "There are 46.8M people living with dementia and this is set to rise to 115.4M in 2050. "Depression and aggressive behaviour are often the most upsetting and challenging symptoms for those closest to the person living with the condition. "Currently the only ways to monitor and manage dementia is by direct observation which is labour intensive, time consuming and can be costly from a care perspective. Or there's wearable bio-sensing devices. "Monitoring and recognition is still very much in its infancy and we believe Robbie is the first robot to use vision-based recognition to recognise four behaviours; aggressive, depressive, happy and neutral." Ardhendu and the team chose the Emmerdale episodes as the Alzheimer's Society described them as a 'realistic portrayal' of the condition. 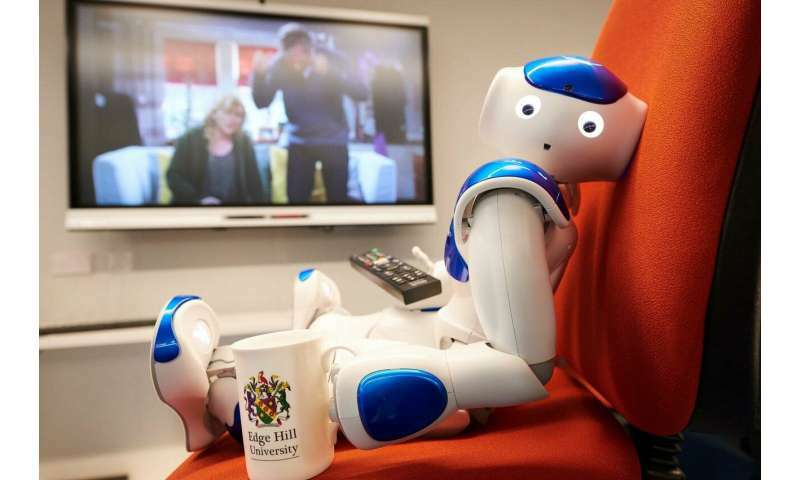 Third-year-student Zachary Wharton, from Ormskirk, added: "The aim is for Robbie and robots like him to look for clues as to when the person might be beginning to show aggressive behaviour and perhaps offer a distraction to help them calm down. "It might be through playing music or showing a video, talking to them. The potential use of robots is huge as they can not only with the daily routine of a sufferer for friends and family but could potentially intervene in situations to help." Ardhendu has presented the research to Alzheimer's Research UK, palliative care organisations, the IEEE (the world's largest technical professional organisation for advancing technology for the benefit of humanity) and other universities.